Welcome to T Thompson and Sons Ltd. We are an independent garage based in Morpeth, Northumberland and have been serving the surrounding area for over 50 years. We are a Unipart Car Care Centre which means all parts fitted come with a nationwide 12000 mile or 12 month guarantee (whichever is sooner). All our technicians are fully trained to use the latest diagnostic equipment allowing us to accurately identify and fix all problems associated with engine, electrical and chassis systems. Effective fault diagnostics enables us to quickly identify any problem, ensures the correct part is ordered first time, and gets you back on the road with the minimum of delay and inconvenience. As a family business we always go the extra mile and put customer service above all else. We can arrange to complete your MOT or service at a specific time whilst you wait in our comfortable reception area for example. We have a courtesy car available as well as a taxi service into Morpeth so you can do a spot of shopping, or enjoy a meal whilst your car is repaired. If you are really short of time we can arrange collection and delivery of your vehicle from your home or place of work. We are rightly proud of our reputation for customer satisfaction and do everything possible to make your experience with us a pleasant one. Motor Codes is the government-backed, self-regulatory body for the motor industry. The Service and Repair Code commits garages to an open, transparent and fair method of business, aiming to maintain consistently high standards across the industry. By subscribing to the Code, our garage is demonstrating its commitment to operate as a responsible business and deliver high levels of customer satisfaction. Opening Spring 2014, our dedicated Fast Fit centre aims to provide you with a faster solution to your motoring needs. 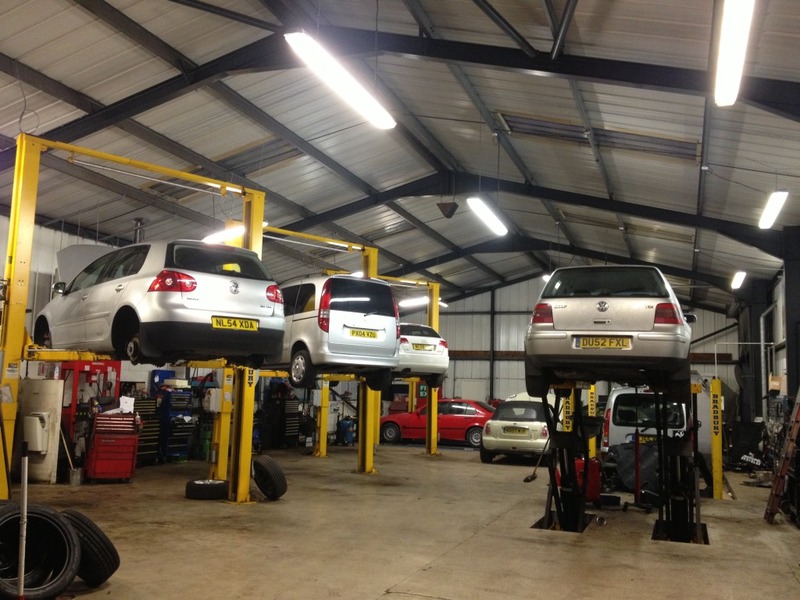 Tyres, Brakes, Batteries, Exhausts and minor repairs can be carried out whilst you wait. Need tyres in a hurry? Order online from your smart phone or tablet, and pop along in your lunchbreak when a fully trained technician will be ready to fit the tyres of your choice in a jiffy! Thompsons Express aims to keep you on the road with a minimum of fuss, seven days a week! Opening Summer 2014, The waxworks will re open, once again providing comprehensive rust proofing treatments for a wide range of vehicles. For the last decade, Thewaxworks have been treating a wide range of vehicles from classic British sports cars to large modern motor homes, and we are very happy indeed to be joining forces and offering their services to our regular customers as well as the many customers who travel the length of the country to get the very best in vehicle rust protection. ©Thompson’s of Morpeth LTD. All rights reserved.